It’s about risk. Don’t apply process overhead to low risk efforts. Today’s status has something for pleasing everyone, but the full truth for no one. Don’t ask everyone to ‘run’ when walking is ok.
Business cases may be ‘adorable’ but emotions still drive executive decision making. Take a holistic approach–focus on outcomes first, process second. Defective business cases lead to defective portfolios. 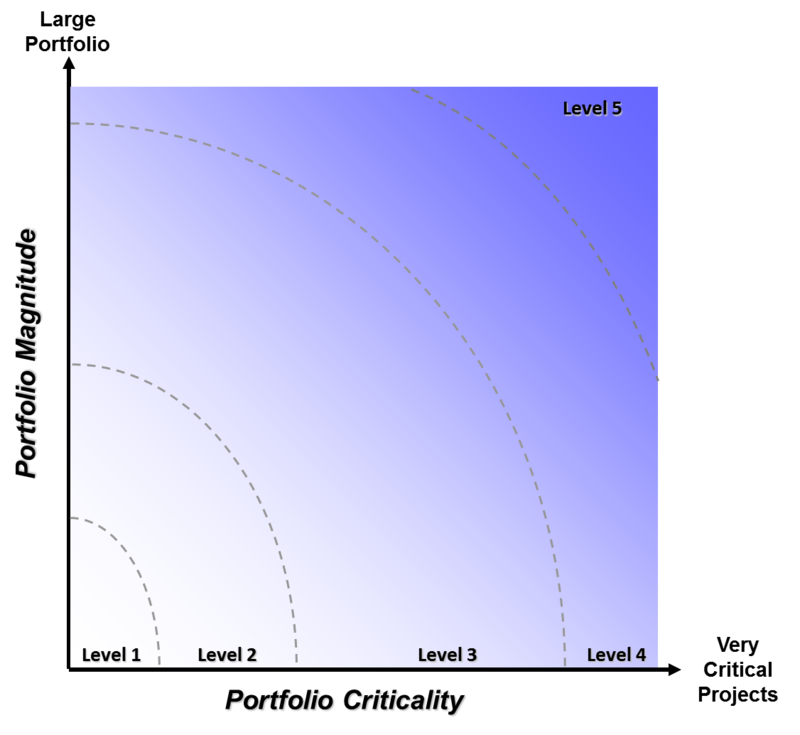 “Real” portfolio management begins at level 3. No individual heroic effort will get you to level 4. The enterprise must go with you. Level 5 (if achieved) only lasts a few years and will fail after key senior leaders leave. Either get your process well established first OR buy a tool that is easily configurable. You can optimize resources for speed or efficiency. If you optimize for speed, contributors should only work on 1 project. If you optimized for efficiency, you should do 3 or less projects simultaneously.